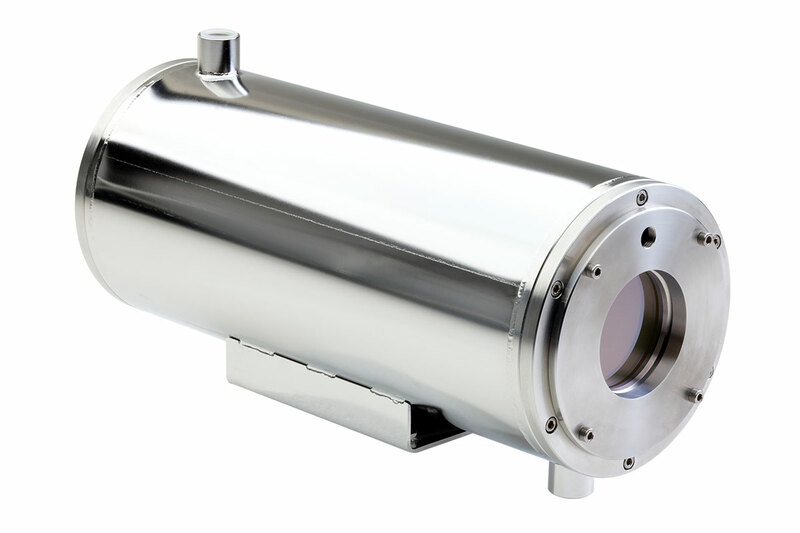 Liquid cooled series comprises AISI316L stainless steel camera housings designed to protect CCTV cameras in industrial high temperature applications (steelworks, foundries, furnaces, rolling mills) and highly corrosive environments. 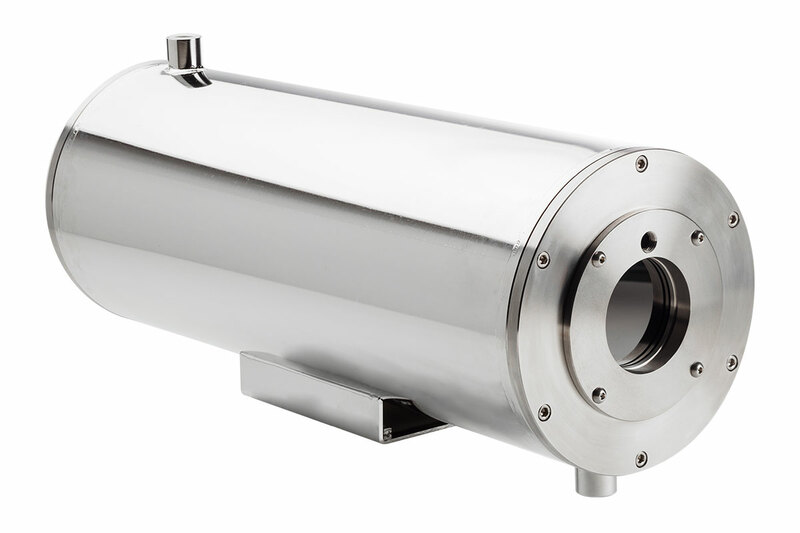 The LC series camera housings are formed by two stainless steel tubes close at their ends forming a special chamber the allow water or cooled liquid to cool down the housing. 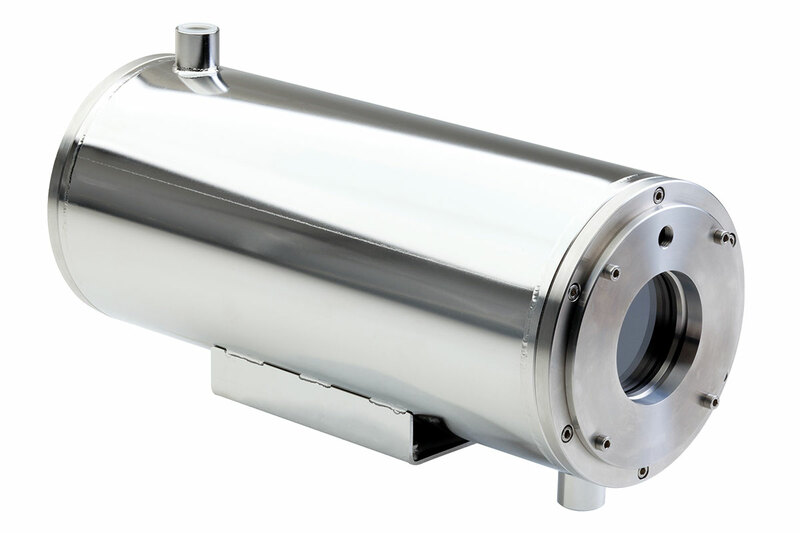 The front flange is conceived to create an air barrier that cools and protects the front glass from the formation of dust and deposits, especially useful when the housing is located in foundries, near ovens or dusty places. To avoid oil and dust particles and to grant clean air for the barrier, a filtering battery is available as optional. These housings are engineered to ensure the best protection from external agents and to allow an easy installation and maintenance. Specifically, the 129LC camera housing is conceived to fit medium size cameras, while the 168LC series is conceived to fit medium/large size camera being its internal diameter 168mm. Highest quality materials and production process, together with a modern design and a competitive price, make these housings the best solution to protect cameras installed in the most severe environments. 129LC 360 70 Borosilicate glass (Borofloat) with high chemical resistance and low thermal expansion. Thickness 5mm. 129LCIRZ70 360 70 For IR viewings, Zinc Selenide with AR/AR coating. Thickness 5mm. 129LCIRG70 360 70 For IR viewings, Germanium with AR/DLC coating. Thickness 3mm. 168LC70 500 70 Borosilicate glass (Borofloat) with high chemical resistance and low thermal expansion. Thickness 5mm. 168LC110 500 110 Borosilicate glass (Borofloat) with high chemical resistance and low thermal expansion. Thickness 5mm. 168LCIRZ70 500 70 For IR viewings, Zinc Selenide with AR/AR coating. Thickness 5mm. 168LCIRG70 500 70 For IR viewings, Germanium with AR/DLC coating. Thickness 3mm.